The English Track program at The School of Global Japanese Studies at Meiji University is an English-based bachelor’s degree program that has been offering students from around the world the unique opportunity to explore a wide range of intellectual interests, improve their Japanese language ability and engage with Japanese society in a metropolitan environment since 2011. Under the guidance of faculty who are prominent specialists in their respective fields, students attend a wide array of courses on topics such as Japanese pop culture, Japanese history, business and globalization, international relations and more. These are grouped in three areas of concentration — Culture and Art, Business and Society, and Globalization. While students in the program can obtain a degree by taking classes only in English, those with a good command of Japanese can take classes in Japanese. The program also places an emphasis on Japanese language education and students can take Japanese language classes, which are divided into eight different levels. Whether an absolute beginner or advanced Japanese learner, these eight levels ensure students improve and reach their language-learning goals. The student body consists of students from 24 countries, all of whom were brought together by a shared interest in Japan and a desire to learn. Interacting with Japanese students, as well as students from around the world, students learn from each other and grow into global citizens who will go on to make significant contributions to the globalizing society. 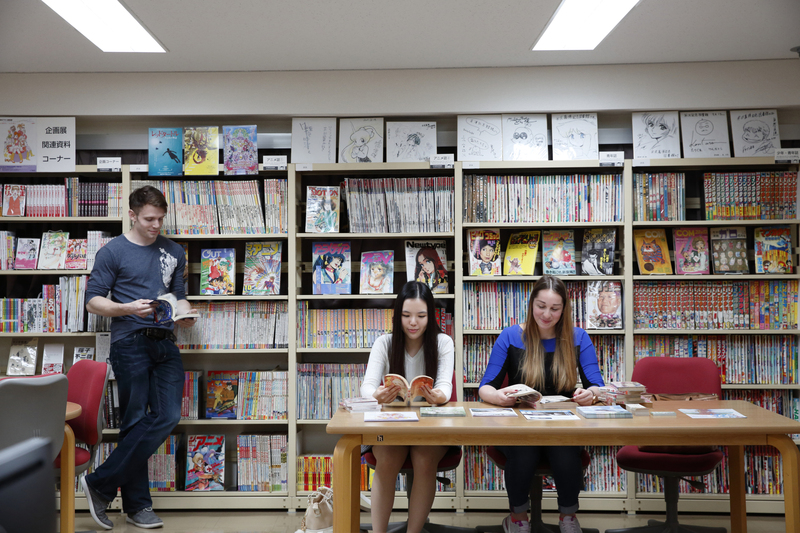 The School of Global Japanese Studies is located in Tokyo’s Nakano Ward, a world-renowned metropolitan hub for Japanese subculture and a top destination for Japan enthusiasts. The Nakano campus, opened in 2013, is ideal for students who want to experience and engage with Japanese culture and society. The location, diverse courses and robust language classes makes the English Track program at The School of Global Japanese Studies a truly unique, comprehensive and enriching destination for students who wish to transcend national borders and bring cultures together.